Although I won't drive 2 hours to Grand Rapids to see him, I will be buying this disc. 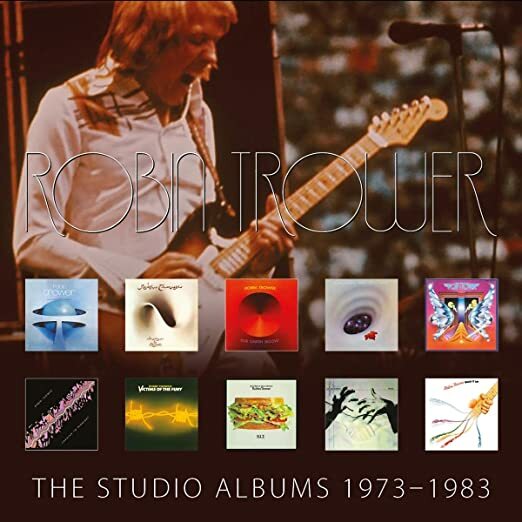 Even with a couple of less than stellar albums in the 80's (it was a confusing time for a lot of 70's rockers) Trower remains an autobuy for me. Can't wait to hear Robin's new album. Will try to see him at Lake Tahoe if possible. Few years ago, he had to cancel his Lake Tahoe date, and I had to return my tickets. I don't think he has been back in the area since. Not one show in New England. Too bad. Hoping for a Pittsburgh-area date. It's been a while since I've seen him. I attended a Trower show 10 years ago. Hope he comes back this way. Great guitarist. Love his Strat tone. I absolutely loved his last album Time and Emotion, so this is an auto-buy for me. He's always been superb, tasteful musician, and these days I really like his voice. True, he's no James Dewar, but then who is? Robin's vocals blend with his music so well. Then there's that guitar playing, that sound, and that feel... the epitome of a sophicticated bluesman. His singing sounds like Billy Gibbons. Has any other famous rock star waited until his 60s to become his own lead vocalist? I can't think of one. Have tix to the Tulsa show in April. Sounds like early Hendrix. Caught him in '74 opening for KC; I might check him out this time around as well. Wow, I haven't heard him do stuff like this - since the bridge of sighs days. Gorgeous strat sound. Ive heard snippets from his later albums and they did nothing for me. This sounded great. DANG, that sample track is kickin'! Great to hear an analog sounding recording with the fingers squeaking on the strings! And he does sound like Billy Gibbons. Great work, Robin! Wow! Nice, stripped-down sound. He's way more Hendrixy than usual, but that's always been part of his thing. Vocals aren't bad either, but James Dewar, he's not. His vocals have gotten better over the years but I agree with you, James Dewar was great, his vocals fit Robin's guitar playing so well. I'll check this one out for sure. Wow . I need that box set. I saw him back in the late '80s near Las Vegas at a rather small venue. The crowd was way over capacity and some drunk idiot kept yelling out Bridge of Sighs after every song. IIRC he eventually got bounced. 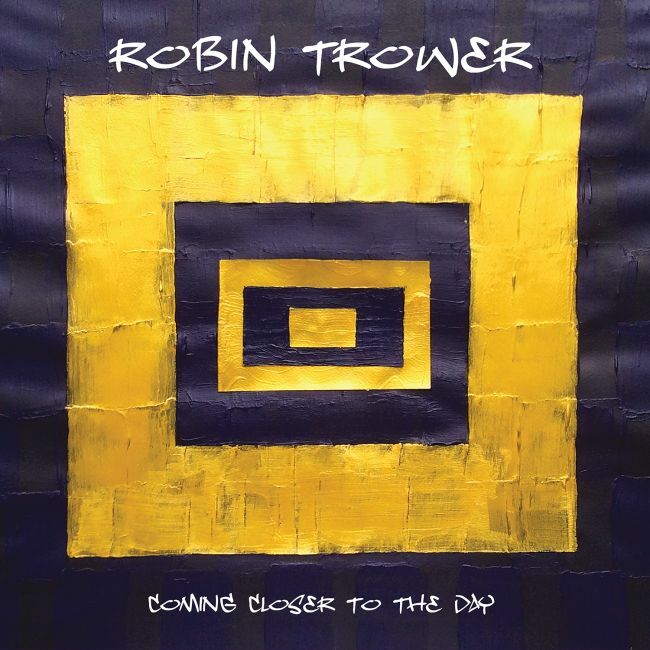 I saw Robin Trower in 2009 in a small club in Ft. Lauderdale. Unforgettable experience. That woman tone on that Strat is awesome. I saw him in the mid-70s, then again about 5 years ago. He does not grow old musically. The first time I saw Robin he opened for Strawbs. Great show by both. I saw him about 5 years ago and he still rocks. One of the best guitarists I've ever seen perform. The 10 cd boxed set is great for beginners. His albums always sounded better on vinyl for some reason though. Great, stripped to the essential, track. Don't like the vocals though... Miss James Dewar (RIP). Ordered mine on December 9th. Just heard it's Out For Delivery by 4 pm.